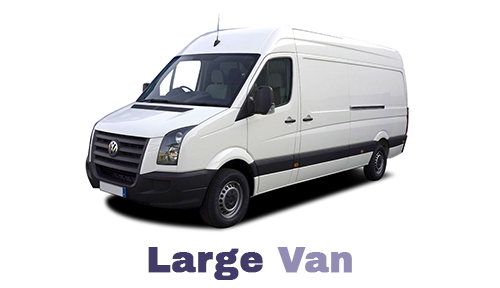 If a small or medium van doesn't meet your needs then you might want to consider hiring one of our large vans which offers a greater loading space. In addition, the large van provides extra length for longer items whilst still being easy to manouevre. All the commercial vehicles we offer, including our large vans, can only be driven by people who are aged over 25 and hold, at least, a standard driving licence. To rent a large van in Birmingham with us please call 0121 330 0812 or use our online booking facility. Our selection of large vans are built by a number of vehicle manufacturers so we aren't always able to guarantee exact dimensions or specifications.